Over the past thirty years, Bond University has developed a thriving journal publishing program. Today, the university has ten faculty-run journals in a variety of subject areas - from legal scholarship to education - and Bond’s library is working to ensure that they can support new publishing initiatives in the future. Scholarly Publications & Copyright Manager Antoinette Cass has worked with Bond journals for the past eleven years. Since 2008, she’s helped faculty publish their journals online via the library’s institutional repository to make the research openly accessible. When the university decided to adopt a different research management system in 2018, Cass realized that Bond would need a new place to host its ten open access journals. So she set out to find a new platform to manage and host Bond’s journals. Cass knew that they needed a low-tech peer review and publishing solution that would be easy to migrate journals to and that would provide modern digital publishing functionality. After comparing different software options, Cass determined that Scholastica was the best solution to meet Bond’s publishing needs. “I really liked what I learnt about Scholastica. It came through as a very adaptive and well-structured platform that would do everything we needed and more,” said Cass. During the transition to Scholastica, Cass worked closely with Bond Publications Officer Doreen Taylor who serves as administrator for seven of the university’s faculty-run law journals. Cass and Taylor said the transition has been smooth for them and for the editors of the journals they work with. “Migrating all of these journals was a big undertaking but Scholastica has helped us to do the job really efficiently,” said Cass. Cass and Taylor worked closely with the Scholastica team throughout Bond’s journal migration to onboard editors to the system and to upload all of the journals’ back articles and issues. For many of Bond’s journals, this is the first time using software to manage all aspects of peer review. Cass and Taylor say they’ve begun to see the benefits of digital journal management, including more centralized communication and easier manuscript tracking. For Taylor, the move to Scholastica has also helped automate a lot of the more tedious administrative work she’s had to handle in the past. Taylor said she finds the email templates that Scholastica provides for journal decision letters and discussion messages especially helpful. She’s been encouraging the law journal editors to use templates for common communications to save time. In the switch to Scholastica, Bond was able to keep all of the digital publishing functionality its institutional repository offered and to gain much more. All of Bond’s journals are now mobile-friendly and feature site-wide search functionality making it easy for online readers to find journal articles on specific topics. 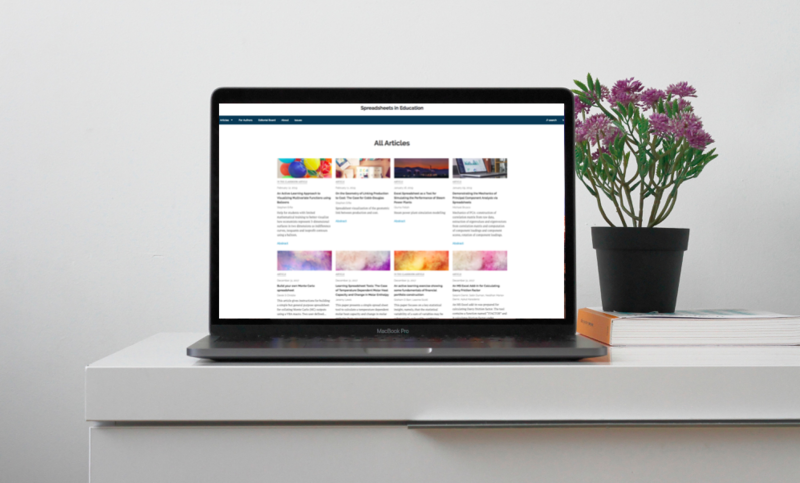 For Cass, Taylor, and the editors they work with, Scholastica’s publishing platform has proven easy to use and has given them the website editing and customization options they needed. “We really like Scholastica’s website template, the journals all look great and the search functionality is fantastic,” said Cass. “The embedded readership and publishing analytics that Scholastica offers was also very important to us.” Bond uses Scholastica to report on journal readership stats including unique visitor stats for journal websites, website pageviews, and article download counts. They also keep track of journals’ readership distribution by country and how readers are being referred to their journals online. Now that they’ve finished migrating all of Bond’s journals to Scholastica, Cass and Taylor are focused on helping the journals to embrace new digital publishing opportunities both in terms of peer review tracking and content dissemination.